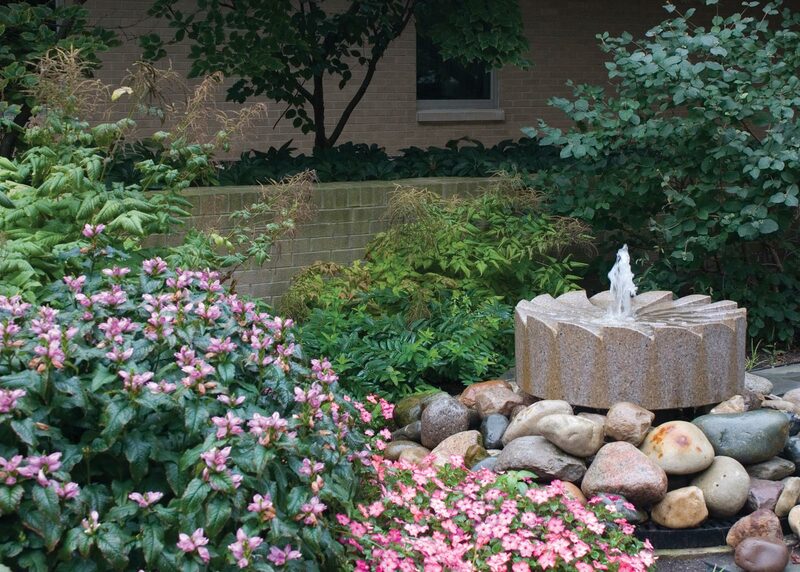 The Friends Meditation Garden at the University of Michigan Hospital, part of the University of Michigan Health System, illustrates the healing properties of nature. 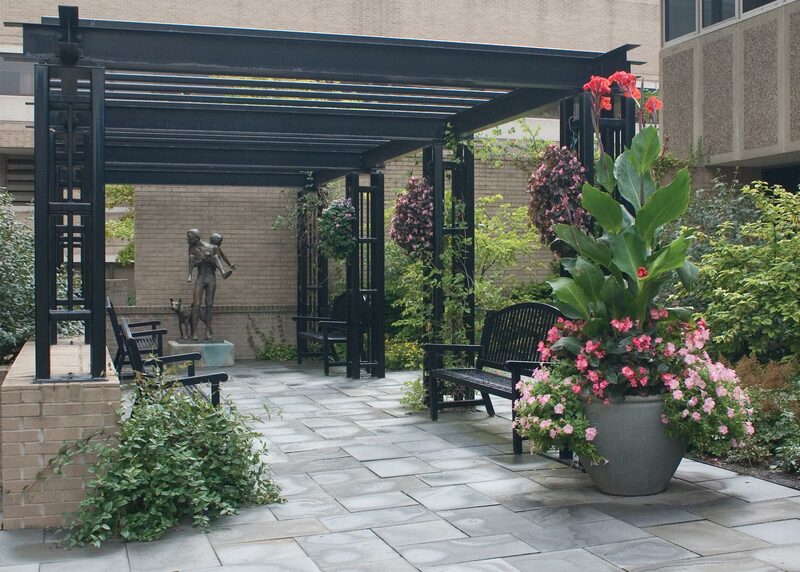 Tucked between clinics and treatment wards, the courtyard garden provides hospital patients, visitors, and staff a quiet retreat from the antiseptic setting of the laboratory. Mature trees shade the garden, which is comprised of a series of miniature garden rooms. Framed by an exuberant collection of perennials, the garden’s pergola, nooks, and seating areas enliven the senses. The composition’s multiple textures and colors, plays on light and shadow, fragrances, and movement temporarily remove the visitor from the adjacent hospital. 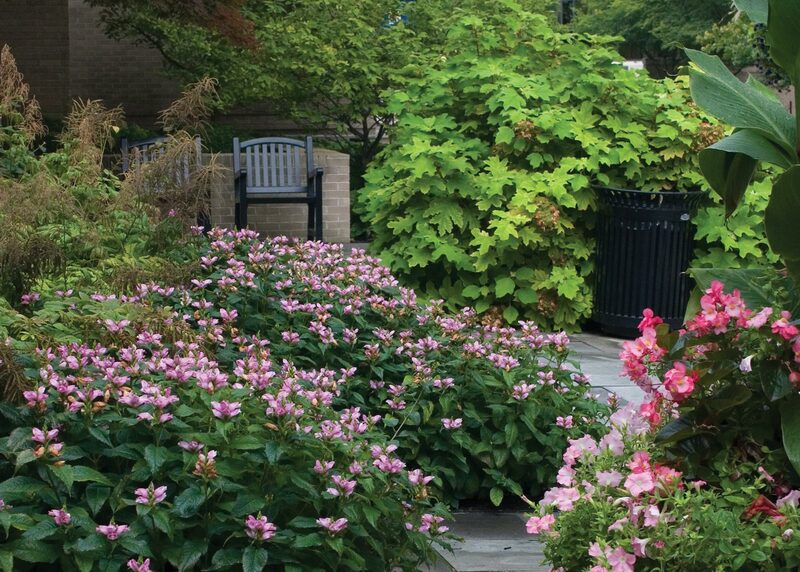 Fully accessible, the garden can accommodate oncology patients actively receiving treatment and their guests in a non-traditional setting that maintains healing properties of its own.